Bravo has finally released the official cast photo for season 5 of their hit reality show, The Real Housewives of Atlanta. Kandi Burruss, Nene Leakes, Cynthia Bailey & Phaedra Parks return for the drama, while Kenya Moore and Porsha Stewart are the two newbies on board (which I exclusively revealed many many months ago HERE and HERE). Noticeably absent? Sheree Whitfield (who quit after she got fired at the end of Season 4), Kim Zolciak (hate to say I told you so) and Marlo Hampton, who apparently offended Bravo higher ups last season with her gay slur. 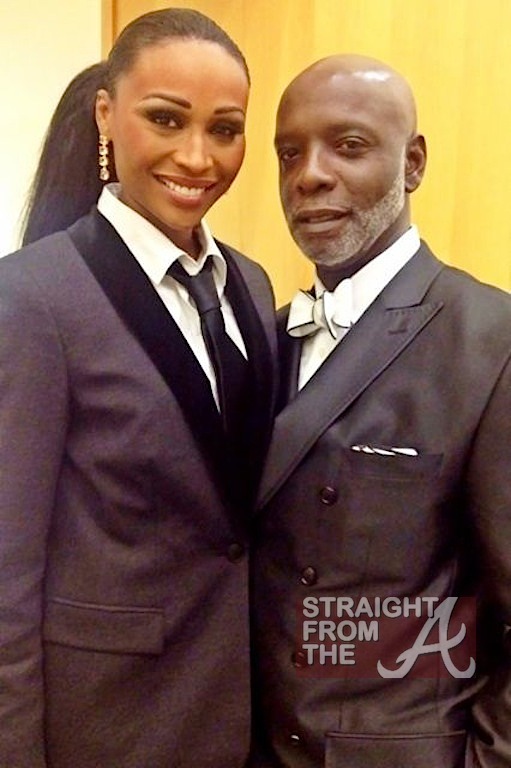 Cynthia Bailey of The Real Housewives of Atlanta was dapper in her Black suit as she supported her hubby Peter Thomas‘s men’s health black tie event last night by dressing in men’s attire (September 19, 2012). 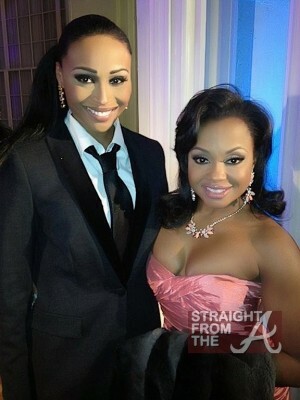 Cynthia was joined by fellow RHOA cast mates Kandi Burruss, Phaedra Parks and newbies Kenya Moore & Porsha Stewart who all came in support of Thomas’ “Salute to Excellence Awards: Men’s Health Awareness Charity Mixer” which was held at Atlanta’s Biltmore Hotel ballroom. 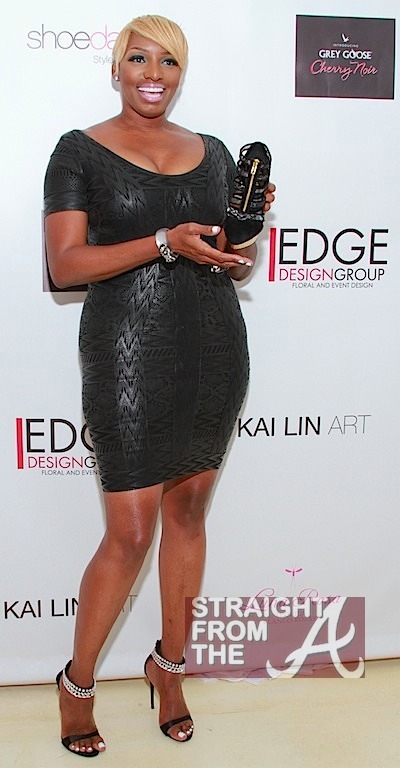 Apollo Nida, Todd Tucker, Kordell Stewart and Leon (Bailey’s ex) all played host, and Nene Leakes (who did not attend because she is filming in LA) was represented by her fake ex-hubby Gregg Leakes . Kandi Burruss of the Real Housewives of Atlanta shared the photo above recently of all the Season 5 “housewives” in one place. 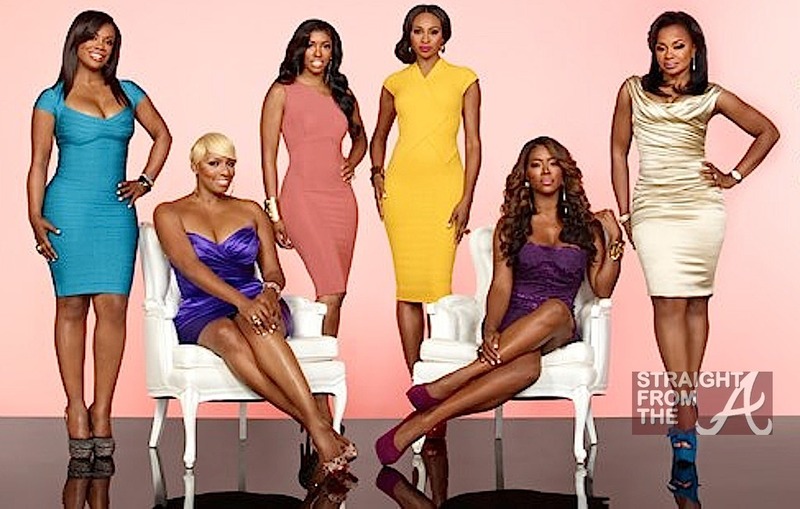 The season hasn’t even started yet and Bravo hasn’t “officially” announced any new housewives but pictured above is Kenya Moore, Phaedra Parks, Burruss, Nene Leakes, Porsha Williams-Stewart and Cynthia Bailey… noticeably absent? Kim Zolciak, who I told you months ago, won’t be involved as much this season. 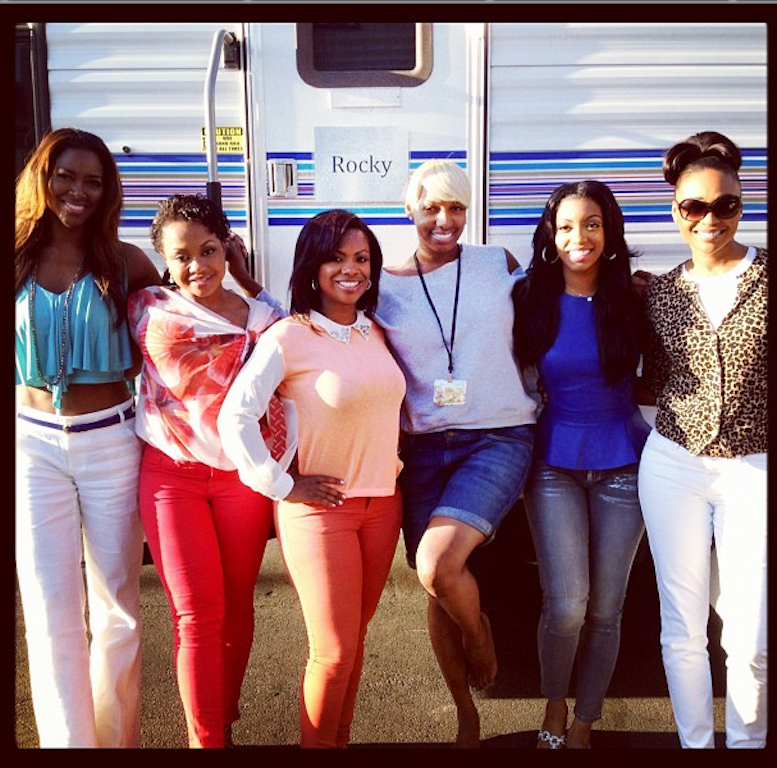 Kandi and the RHOA crew visited Nene in Hollywood and took the photo on the set of “The New Normal.” I’m not sure if the ladies were merely visiting to show support or if it will be part of the show, but we’ll find out soon enough. 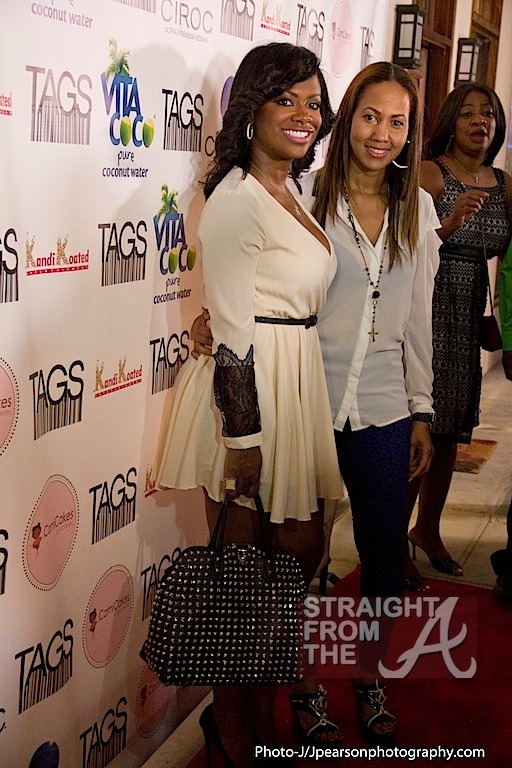 Kandi Burruss of The Real Housewives of Atlanta added yet another entrepreneurial venture to her portfolio with the opening of her 2nd TAGS boutique in Atlanta. 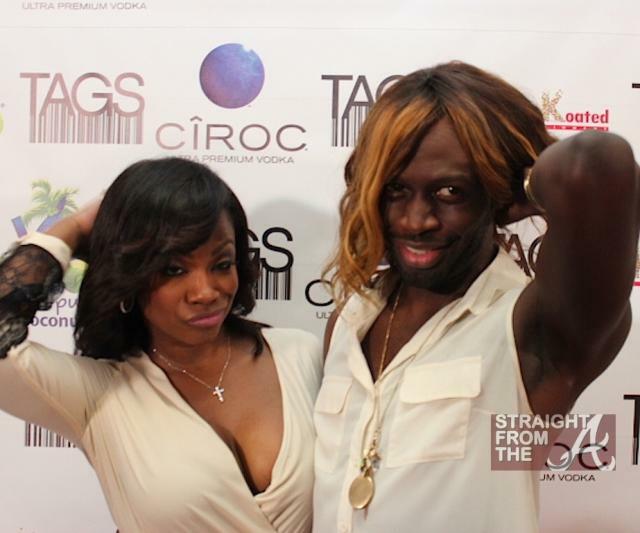 The successful “housewife” held a grand opening celebration last night (September 8, 2012) and was joined by a few of her RHOA cast mates, including Cynthia Bailey, newbie Kenya Moore (who joined the cast this season)and celebrity hairstylist Derek J. Others in attendance included Antonia ‘Toya’ Wright, producer Jazze Pha, Momma Dee of Love & Hip Hop Atlanta (who appeared in a see through top flanked by two dates), and my boo Funky Dineva. Cynthia Bailey of The Real Housewives of Atlanta pulled a few of her celebrity friends into the fold for her recent model search for The Bailey Agency. Jay-Z’s ROCAWEAR joined forces with the supermodel and her co-host, legendary male model Tyson Beckford, to reveal the fresh new face chosen during the weeks long contest. The winner, who will most likely be revealed during Season 5 of RHOA, received a $10,000 cash prize from ROCAWEAR, a one year contract with CLICK Models and a double fashion spread in Vibe / Vibe Vixen, shot by celebrity photographer Derek Blanks. 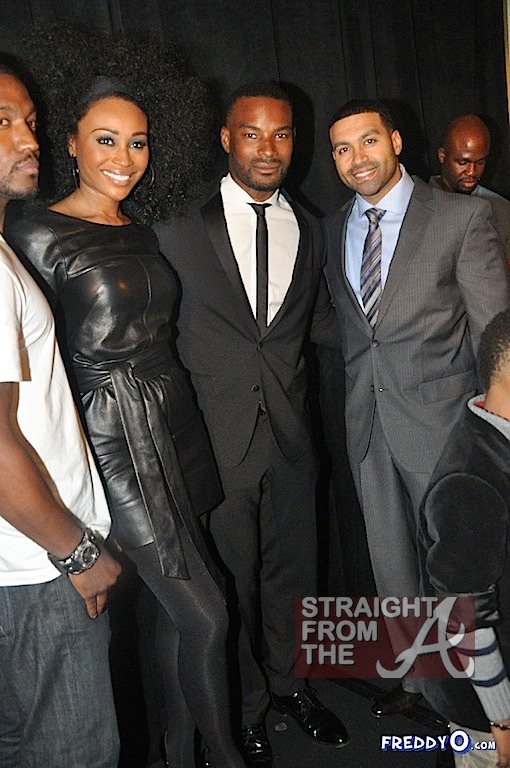 And while that’s all well and good… the real tea is that the event was actually all about Apollo Nida, husband of Bailey’s RHOA castmate, Phaedra Parks who was revealed as The Bailey agency’s newest talent! Nene Leakes‘ of the Real Housewives of Atlanta held a shoe launch party for her new Shoedazzle design over the weekend. I posted several photos yesterday (click HERE if you missed it) , however… I received a few more in my inbox last night. 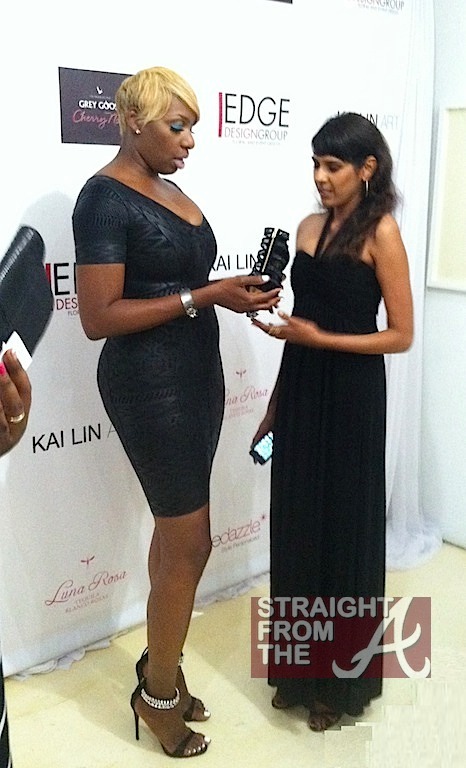 As I stated in my last post, NeNe’s shoe, The Nethia, will retail for $39.99 (like all of the other shoedazzle shoes, and while the profits reportedly will go to a great cause, I’m not too sure we’ll be seeing Leakes give up her “Red Bottoms” anytime soon.